There is nothing more emphatic than a smash for imposing your will on a rally. Get your technique right and there won’t be any coming back for your opponent. 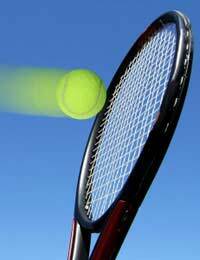 But not only is the stroke likely to win an individual point; good execution can have a psychological effect, too. It’s a form of tennis put-down, swatting away the efforts of the other player in a violent, dismissive manner that says: on this court, buddy, you are the insignificant other. All the great players can execute a mean smash when required: look at Rafael Nadal’s recent titanic struggle in New York against Andy Murray, or the way Roger Federer holds court, literally. From a bygone era, even a player renowned for his touch and subtlety such as John McEnroe could hit an unplayable smash when required.And that is the key to successful execution: it must be unplayable. A poorly timed, weak smash will only leave your opponent with plenty of court in which to claim the point for themselves, leaving the you feeling a little embarrassed, if not a little inadequate. Suddenly the psychological advantage discussed earlier has swung the other way. While timing on the racket head is very important in playing a smash, this is a shot that is so much about footwork, using half-steps to make timely adjustments as you watch the arc of the ball, the aim being to hit the ball slightly in front of you and preferably downward at a steep angle in order to impart power and make it as difficult as possible for your opponent to have any opportunity to return. Ideally you want the smash to land as deep inside the base- or tramlines as possible; alternatively you must bank on the steep trajectory of the ball resulting in it bouncing so high off the court surface that your opponent’s racket simply can’t reach it. Not only does a smash needed to be perfectly timed in terms of execution, but great technique will minimise the chances of you over-compensating with your racket arm either to hit the ball sweetly or impart as much power as possible, and thereby risking a shoulder or back injury in the process. Start by watching some DVDs of top players executing the shot, paying attention not to the shot itself but how they use their feet to prepare their body in the moments before striking the ball. Then take your observations out onto the court and ask your playing partner to hit some high balls from a variety of positions on the court. Initially, concentrate less upon power and more about good execution and ensuring the ball lands in the court. Given the complexities of the smash, it is always a good idea to book a number of sessions with a coach. A professional trainer will have a keener eye when it comes to pinpointing weak points in your approach to the shot, and should be able to iron out these flaws. Once you feel you have some mastery of the technique, the next big step is having the courage to use the smash in a competitive situation. The win or bust nature of the shot means the first time you use it may well prove the turning point in the match. If in doubt, don’t go for it. But if you are confident in your own ability, then that first successful smash will mean another potent weapon has been added to your on-court armoury.